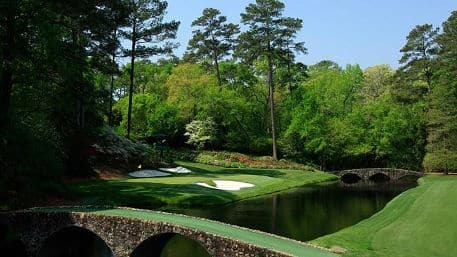 Our betting preview of the Masters features all the betting offers available for existing customers and lists who is paying the most places this year. The Masters starts on Thursday 11th April. Rory McIlroy starts as the favourite, although recent winners over the past show that anyone in the field can win. Last year Patrick Reed won and was priced 70/1 at the beginning of the tournament. 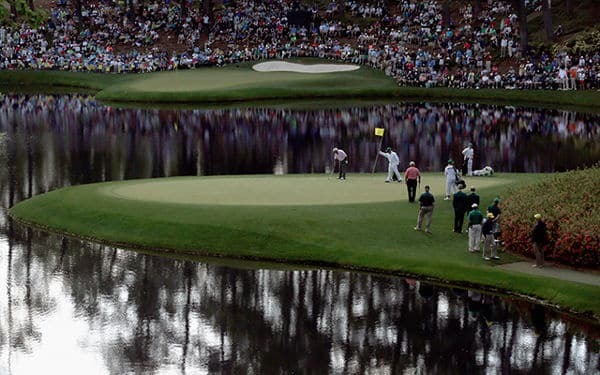 This year bookmakers have run far more promotions for the Masters than in previous years, so there are some cracking offers to take advantage of. This year we have more offers than ever before for the Masters. We have a total of eight offers if you include the three bookmakers have enhancements on the place terms. For each day of The Masters, Unibet will give existing customers a 25% profit boost for in-play bets. There is no need to opt-in to receive this offer. There is a max stake of £20 and extra winnings are capped at £1,000. Place £20+ on the outright winner with MansionBet, and you’ll receive a £10 free in-play bet to use. Place a pre-tournament outright winner bet on this tournament, and if the player you back is the leader at the end of any round, Betway will pay you out as a winner. Previously when Betway have run this promotion, it required your golfer to lead after the first round, so by adjusting it to any round, it has improved the chances of a payout. Back any player to win the Masters, and if they lead after the first round, then NetBet will give you a free bet. The free bet will be equal to double your stake, up to £20. If you were to bet £20, you would receive a £40 free bet. Get money back on losing stakes if you place a pre-tournament outright winner and they finish 2nd, 3rd, or 4th. Boylesports are paying seven places at this tournament at 1/5 odds. Bets must be placed prior to the start of the tournament. Paddy Power is paying ten places at this tournament at 1/5 odds. Bets must be placed prior to the start of the tournament. Coral is paying ten places at this tournament at 1/5 odds. Bets must be placed prior to the start of the tournament. Betfair is paying ten places at this tournament at 1/5 odds. Bets must be placed prior to the start of the tournament. Place a bet on the outright winner of the Masters, and if you don’t win, but Woods or Rose does, then 888 sport will refund your losing stake as a free bet. A maximum of £20 applies. How likely are they to win? Both golfers are inside the top five favourites within 888 sports’ outright winner market. Rose is priced at 13.00 and Woods is priced up at 15.00. Collectively there is a 14.4% implied probability from these odds that one of these golfers will win, and the offer will payout. There is extensive coverage of the Masters exclusively on Sky Sports. Rory McIlroy is favoured across all bookmakers to win. He priced at 7.50 which is a reflection of how large the field is. The odds are supplied by bet365, are accurate at the time of publishing and are subject to change. Who Is Paying the Most Places on the Masters? The most places you can get on the Masters is 10 places. This is available from Paddy Power, Betfair and Coral. The Masters is one of the main highlights of the golfing calendar and is an invitation-only tournament. The format for the tournament is that there are four rounds of golf. After two rounds, a cut is formed, and in order to progress, you either need to be in the top 50 or within ten strokes of the leader. If after the four rounds, there isn’t a winner, then sudden death occurs until a player wins. The tournament is possibly most famous for the green jackets. They’re awarded to the champion, who after one year must return it to the clubhouse. It remains their personal property, but it is there where it must remain. There are some other decent perks to winning The Masters, one of which is the guarantee of an invitation for the other majors for the next five years, plus an invitation to play The Masters for the rest of their career.